LONDON, UNITED KINGDOM--(Marketwire - Dec. 8, 2009) - Integrating Social Media profiles, output and reporting looks set to become the hot industry issue of 2010 according to PR, social and SEO Agency, Punch Communications, following recent deals which have opened up integration between major social websites. Social media users are now able to integrate profiles across sites such as Plaxo, Mixx, Multiply and Delicious, in addition to the more commonly used Facebook, Twitter and LinkedIn, to either maximise or segment their output in social spaces, as appropriate for any given piece of content. As a business which not only works with dotcom brands in Europe, the US and elsewhere around the world but also offers leading edge social media, search marketing and PR services both on and offline to traditional clients, Punch is uniquely placed within the market. 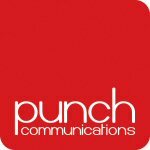 Having evolved in recent years from a pure PR business into search and social marketing through the team's passion for digital media, the majority of Punch's client base now employs the team for either one or both digital services. The business continues to focus on traditional PR however, incorporating online media relations and blogger relations alongside offline media relations, for example. Pete Goold, MD of PR Company Punch Communications, commented: "PR 2.0 is a mindset and we strongly advocate an integrated approach, enabling clients to choose and benefit from a broad range of complementary and beneficial services." "In 2010 we strongly believe that the integration of social media profiles is going to be a key trend to watch, following recent announcements from major dotcom brands, opening up usage and promoting the sharing of user generated content across services." In addition to leading edge technology clients, Punch works across the education, construction, sports and retail sectors, along with undertaking Automotive PR for a range of clients. For more information regarding PR, search marketing or social media marketing, please contact Punch Communications on +44 (0) 1858 411600.